Following a strong start to 2018, leading meteorological specialist Biral has been busy showcasing its popular products at exhibitions around the world and featuring in a number of high profile projects. 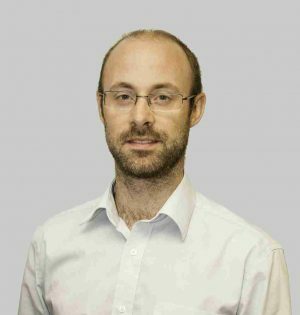 Biral’s Marketing Director Nathan Neal is delighted with the company’s progress commenting, “Further products will come out of the company’s forward research and development programme and we have an ambitious growth plan based on increasing market share in our established markets where Biral is recognised for innovative, high specification products with proven reliability”. In addition to the company’s ongoing research and development, Biral’s SWS sensor was recently used as part of an installation in Cortina d’Ampezzo, Italy. 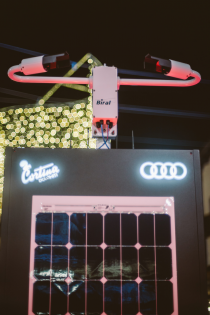 Audi Digital Points, an installation by Point.Architects, developed the project at the popular ski resort alongside the well-known car manufacturer to promote an eco-friendly lifestyle. In November 2017, Nesa Srl, which specialises in solutions for remote environmental and industrial monitoring, was contacted by a number of leading technological innovation companies requesting a specific visibility sensor for the project. Nesa proposed the “visibilimeter” manufactured by its English technological partner Biral, with whom it has collaborated with for many years. Digital islands placed around the resort give live updates on noise pollution, green energy production, street safety and climate conditions, and Biral’s SWS sensor was chosen to take part in the bringing together of data to see how the average everyday life affects the environment. Also announced earlier this year were the Royal Meteorological Society’s 2017 Society Awards and Prize winners. Biral’s Dr Alec Bennett was awarded a meteorological award for his work on the BTD range, and will receive the Royal Meteorological Society’s FitzRoy Prize this month. The award is presented every two years to an individual for their distinguished work in applications of meteorology or related sciences and puts Biral alongside top agencies such as the Met Office and NASA. the company’s involvement in seven presentations from UK and German scientists. Biral’s visibility and electrostatic sensors were used by the academics to investigate electrification of Saharan dust and volcanic ash plumes. Findings from Biral’s BTD-300 thunderstorm detector have also been used to explore how developing thunderstorms generate their charge before the first lightning flash and how this charge falls back to earth through heavy rainfall. The scientists chose Biral sensors for their sensitivity, reliability and robustness to harsh environments like the Arabian Desert and active volcanic craters. CAPTION FOR IMAGE: Biral’s SWS sensor was recently used as part of an installation in Cortina d’Ampezzo, Italy to promote an eco-friendly lifestyle. Digital islands placed around the resort give live updates on noise pollution, green energy production, street safety and climate conditions, and Biral’s SWS sensor was chosen to take part in the bringing together of data to see how the average everyday life affects the environment.